Nuclear researcher Peter Hosemann says the radiation threat to Tokyo from the Fukushima plant is small. The Diplomat speaks with nuclear researcher Peter Hosemann about the unfolding developments at the Fukushima nuclear power plant. 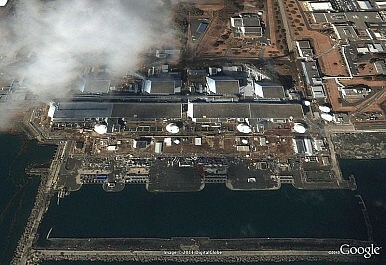 Media reports often talk of meltdowns or compare the situation at the Fukushima plant with what occurred at Chernobyl. Is there any chance at all there could be a radiation release on that scale? At Chernobyl there was a nuclear explosion, whereas in this case we don’t have one, so the mechanism distributing radioactive material is on a much more localized scale. Is it a terrible accident? Yes, there’s no doubt about it. But with no nuclear explosion having taken place, it won’t be as dispersed as with Chernobyl. So there’s unlikely to be a radiation threat to Tokyo? At this point, from the information we have, I would say the danger to Tokyo would be small. There will be elevated radiation readings, there’s no question. But the question then is how much will there be? We’ve picked up radiation here in California. But just because we can measure it, doesn’t mean it’s particularly dangerous because we have very sensitive equipment. There will of course be higher radiation readings after what has happened, but as I said the question is how high they will be. At this point, the readings aren’t high enough to think about having to have people in Tokyo evacuated or anything like that. But there are many institutions and agencies monitoring the levels of radiation very carefully, and so they will put out the proper warnings if something changes. What do you make of the level of information that has been made available by officials at the plant? I think they’ve been doing what they can. At this point, they’re focused on dealing with the situation rather than providing information to the press. Would we like more information? There’s no doubt about it. But all the information that comes out of there has to come from the workers on site. Everything has to come from them, and I’m sure that these workers are more interested in getting the situation under control than they are in making sure information is widely provided. Also, information has to be checked – just because you have a reading doesn’t mean it’s right. And without being on site, of course, it’s hard to make accurate assumptions about what’s really going on. What have you made of the media coverage in the US? It depends obviously on which media. I think considering that thousands of people died in the earthquake and tsunami—and that many, many more are in need of help—that as bad as the nuclear situation is, there’s no question that the problems at Fukushima are only a small part of the disaster that is going on. I would like to see from the media more coverage of this part of the disaster. The situation in Fukushima is no doubt dangerous and very visible, but the much bigger losses from the earthquake and tsunami should be covered in a wider way. It was announced yesterday that plutonium was found in soil samples near the plant. How worrying is this and what are the implications? The first question is how sure can we be about those results? If it’s true, this means that fuel and core material is coming out of the reactor and it needs to be established how it got there so further leaking can be avoided. Was it simply a mistake for Japan to rely so heavily on nuclear power when it is seismically active? Do you think the nuclear industry in Japan and globally can recover from this? Obviously I can’t comment much on the political situations and choices a country makes. But for a country with very few natural resources, nuclear power is still a very good option—it makes a country more independent than gas or coal would. Should there have been better safety measures in place for this event? Oh yes, of course. But many countries and people will learn from all this to improve existing plants and in the building of new ones. Peter Hosemann is a nuclear researcher at the Los Alamos National Lab at the University of California Berkeley. How Bad Is Fukushima Crisis? Japan’s govt has raised the level of the nuclear crisis at its Fukushima nuclear plant to a level 7. Is it really that bad? Japan's 'Artsy' Protest CultureMore on YouTube RabbitJapan's Depressing SquabblingMixed News on FukushimaRakuten to Jump Keidanren Ship?